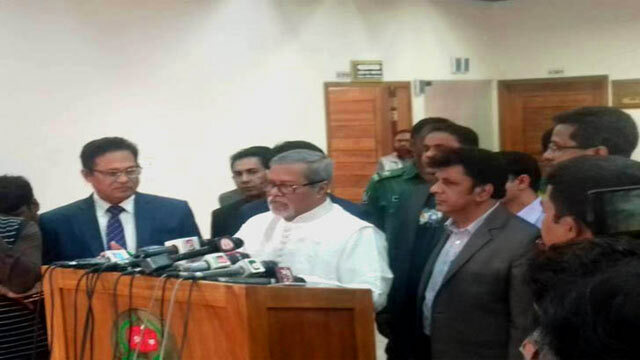 Dhaka, Feb 2 (Just News): Chief Election Commission (CEC) KM Nurul Huda today said the national election will not be inclusive without participation of the BNP. “BNP is a major political party. How is it possible to hold an inclusive election without their participation? The election won't be participatory without the party’s participation. I had said it earlier and still I am saying so,” said the CEC. He came up with the remark while Awami League (AL) collected nomination form for the presidential candidate at Nirbachan Bhaban. CEC Huda hoped that the BNP and other political parties will participate in the general election likely to be held by end of this year. The BNP had boycotted the January 5, 2014 election demanding election under a non-partisan interim administration. But ruling AL leaders said election will be held under Prime Minister Sheikh Hasina’s leadership. CEC Huda said the commission always wants the participation of all the political parties in the parliamentary election and they will be able to avail of the same facilities. The EC will conduct the election in a neutral manner, he promised.